These extremely "Instagrammable" Alphabet Tarts are the newest trend in 2018! These handcrafted tarts are made using a Pâte sablée, which is a basic shortcrust pastry dough for many classic tarts. Students will learn how to roll out and carve 2 pieces of alphabet dough of their choice, bake and then sandwich them in between a piped layer of delicious mascarpone chantilly whipped cream. To add an element of customization for their own tarts, students will also be provided with a variety of fruits and even white macaron shells to paint on! 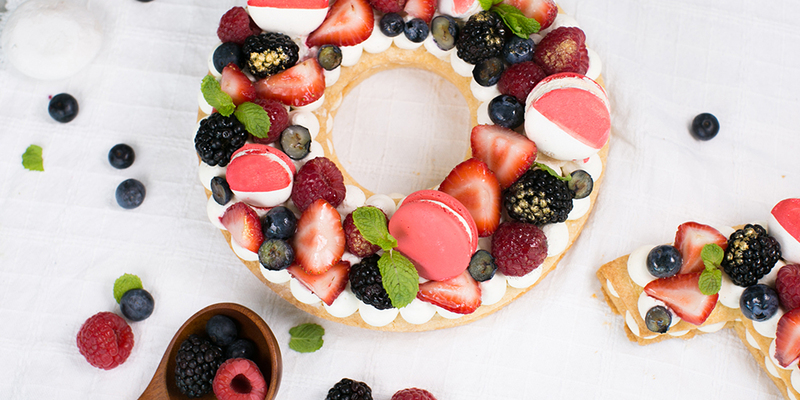 Treat your family and friends at your National Day parties with this impressive dessert!